Below are a few more photos from our early March trip to Campbelford. The first several shots were shown on the previous post. 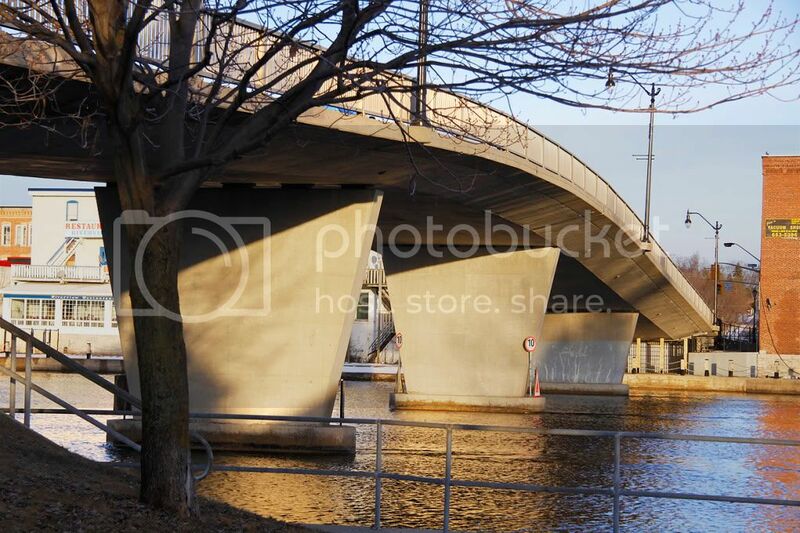 When I went for a walk on the afternoon of our arrival, I headed for the bridge over the Trent river just a few minutes walk into town. 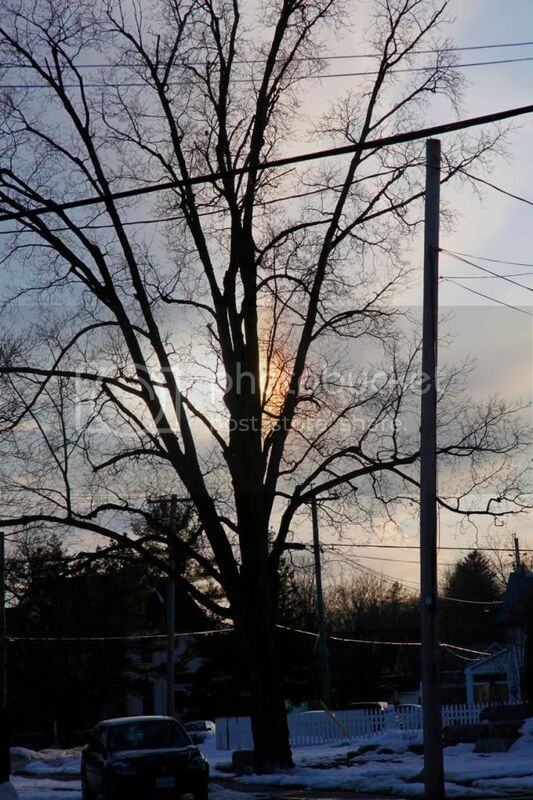 Along the way I saw this sundog hiding behind the branches of a tree. From the bridge, I could easily see our motel. 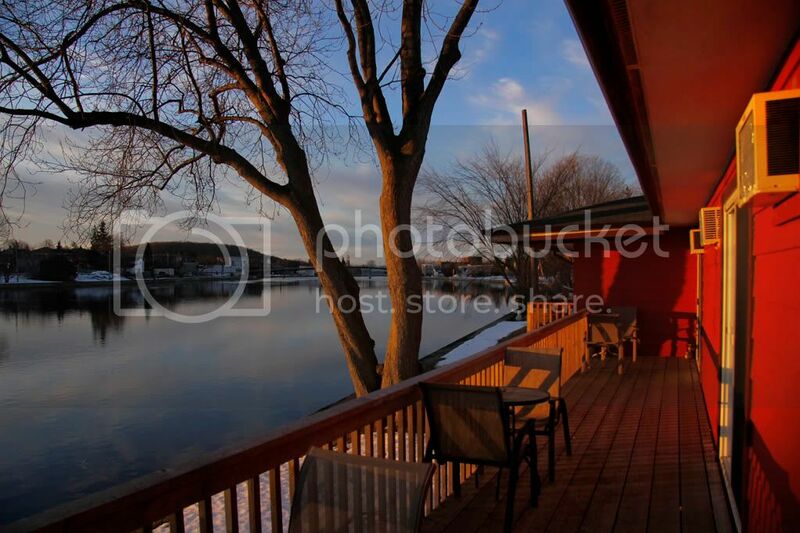 The area with the wooden fence an the mature trees is where we stayed. And into the evening, we could see the bridge from our motel room balcony. This is the cozy restaurant where we had our yummy dinner (and Shiraz!). 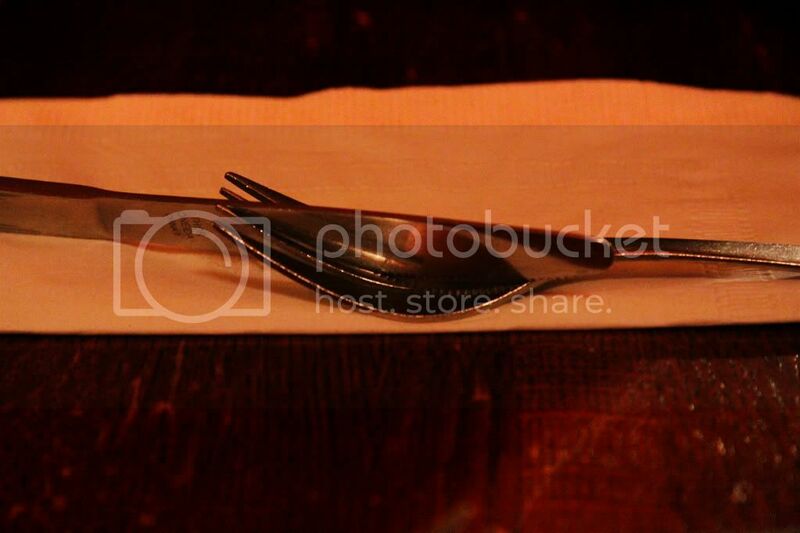 The cutlery was placed in an interesting way. 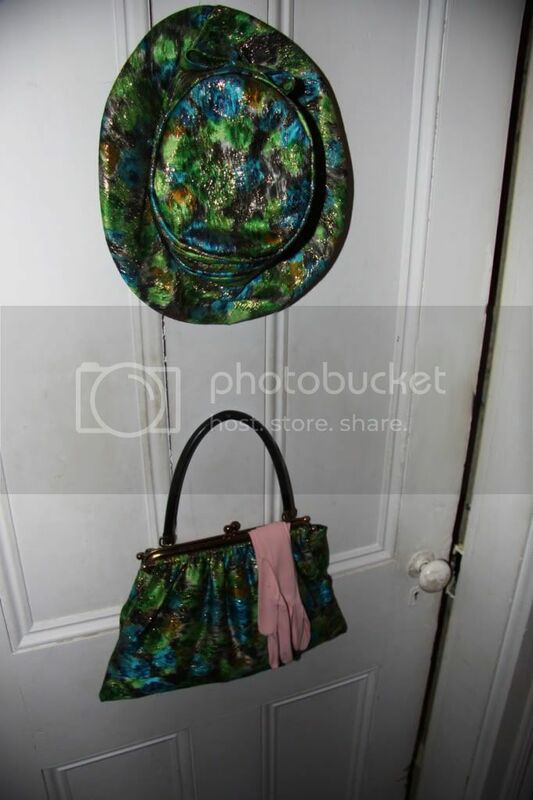 An old floppy hat, purse and gloves so that there's no mistaking this for the men's room. 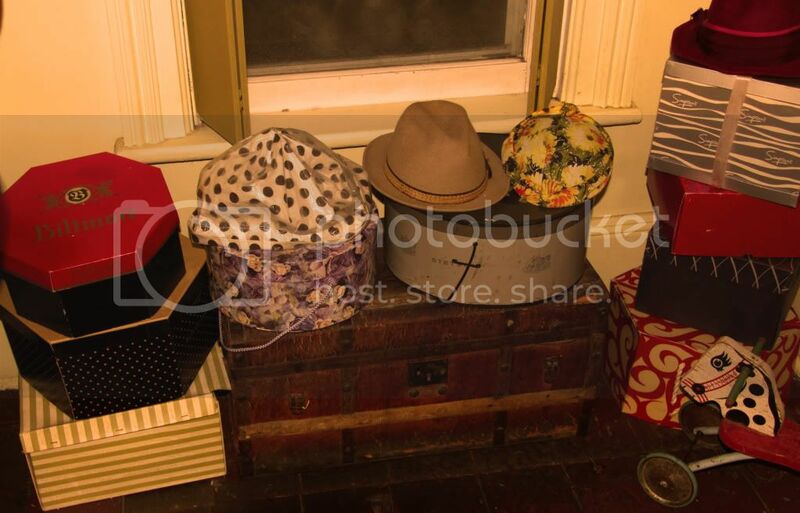 Behind the ladies room door were numerous hats, hat boxes and antique items. Back at our motel room we relaxed and watched some television. My favourite current situation comedy is The Office but the incredibly funny and tender new show, Modern Family has quickly become a very close second. What's your favourite sitcom? 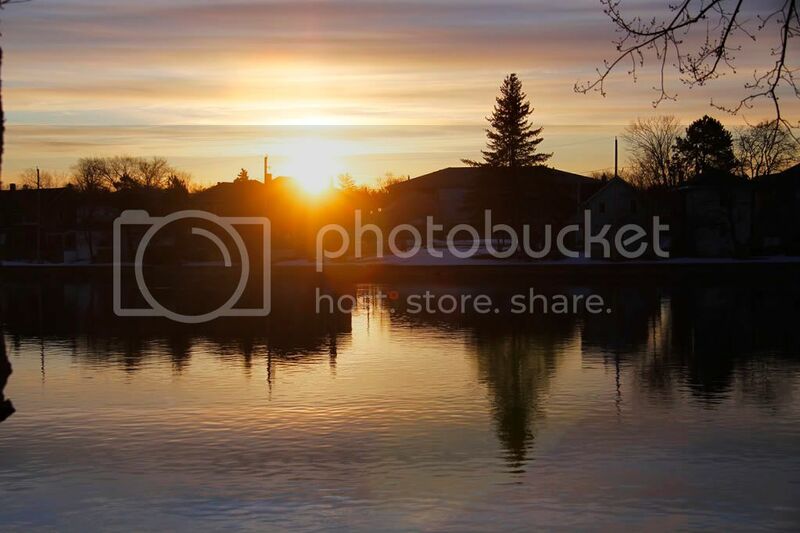 While you think about it, here's another look at that wonderful sunrise as it appeared the following morning. 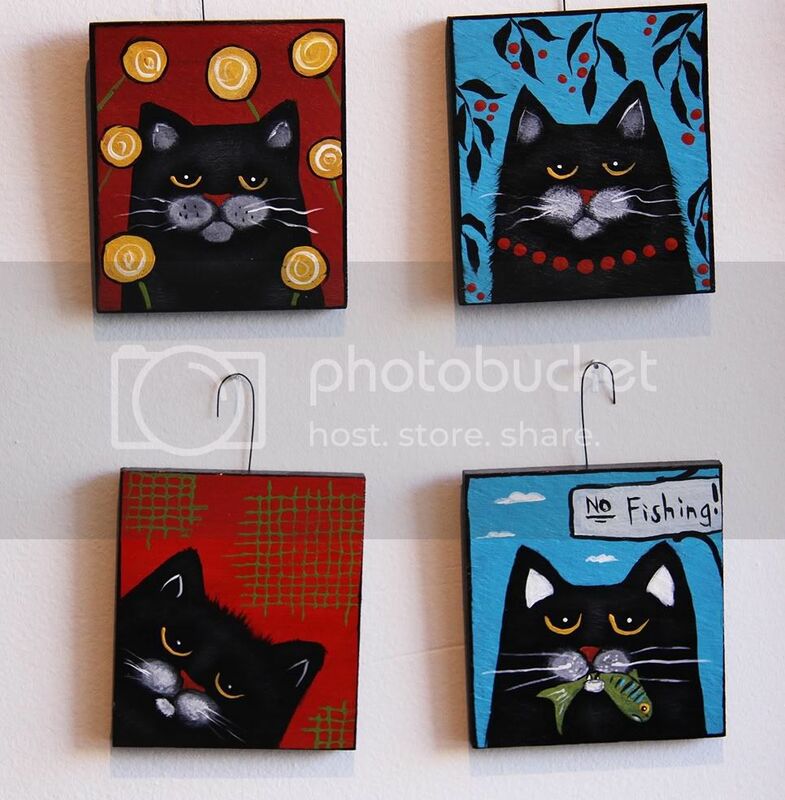 Talented artist Janet Donald Wright whose whimsical art was featured in my Felines, Feathers and Fins post earlier this month, now has her own blog. Janet is even crazier than Frank and I because she lives with not one, not two but three Jack Russell Terriers. 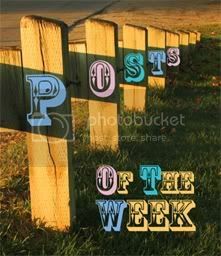 Please head over to Instant Karma where you can welcome Janet to the blogosphere, and meet her wild little trio, Lucy, Maggie and Bob. It was time for a change - long overdue for this blog which hasn't had a face lift since it started over two and a half years ago. The yard sale critters header is gone and in its place one of my favourite photos of a rose which grew in my front yard a couple of years ago. You can see the post which talks about that rose here. 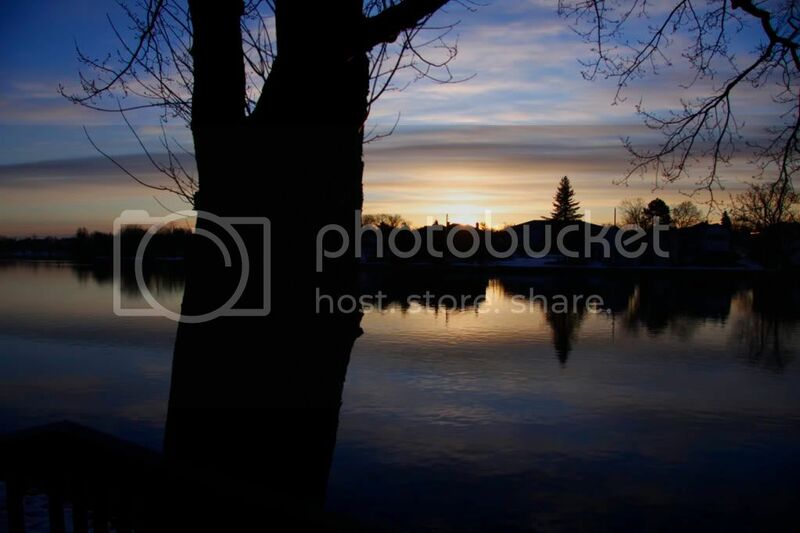 The photos below are from a recent trip to Campbelford - a small town situated on the Trent river in southern Ontario. 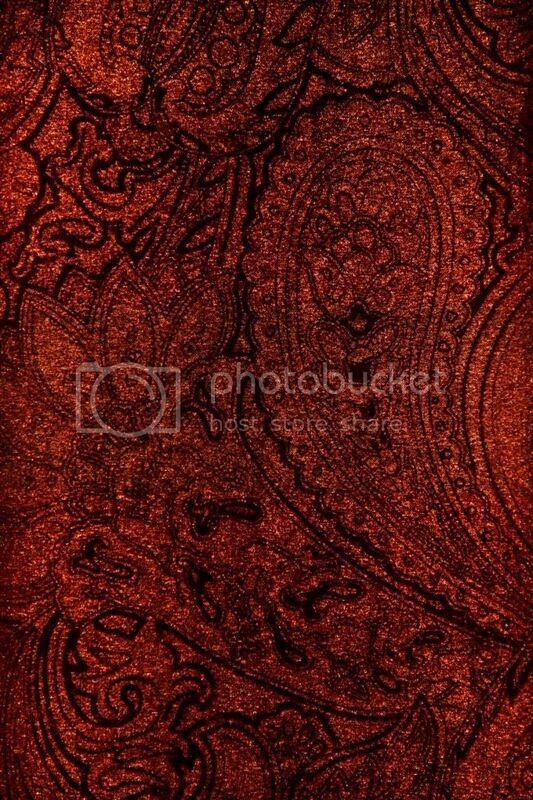 All of them depict shadows and light. 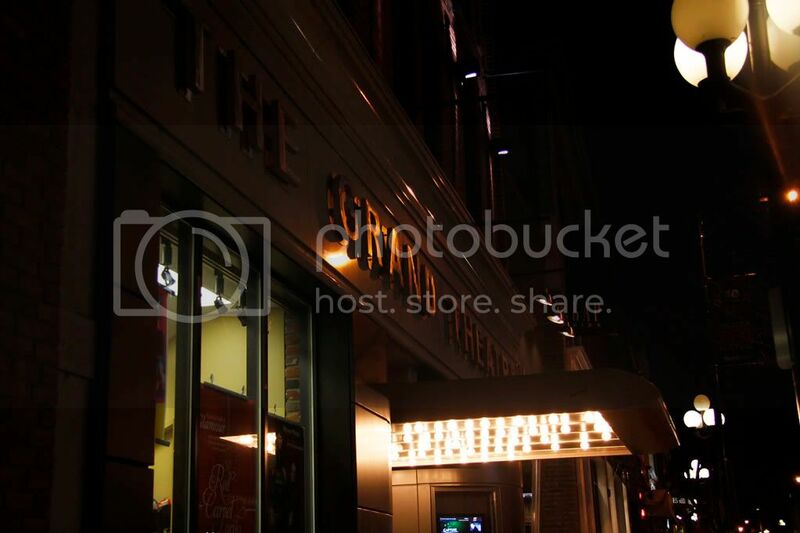 This new layout now allows for larger images than I had before. They'll still increase in size a bit if you click on them. 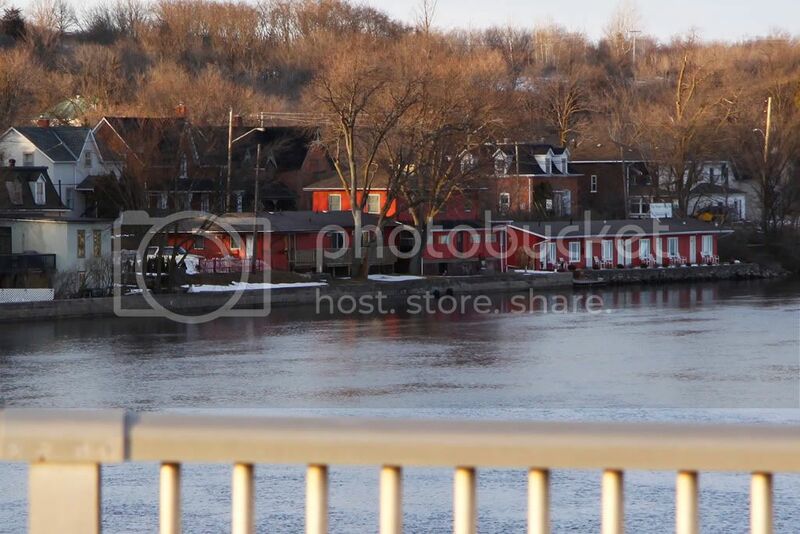 A late afternoon walk across the bridge which spans the Trent river. 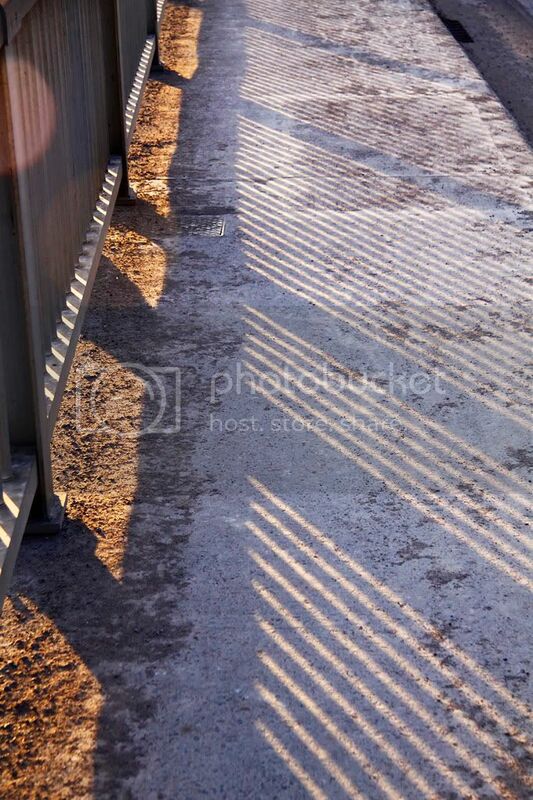 The sunlight produced some interesting shadows through the guard rails. Just a few hours later, we walked into town near the edge of the river. 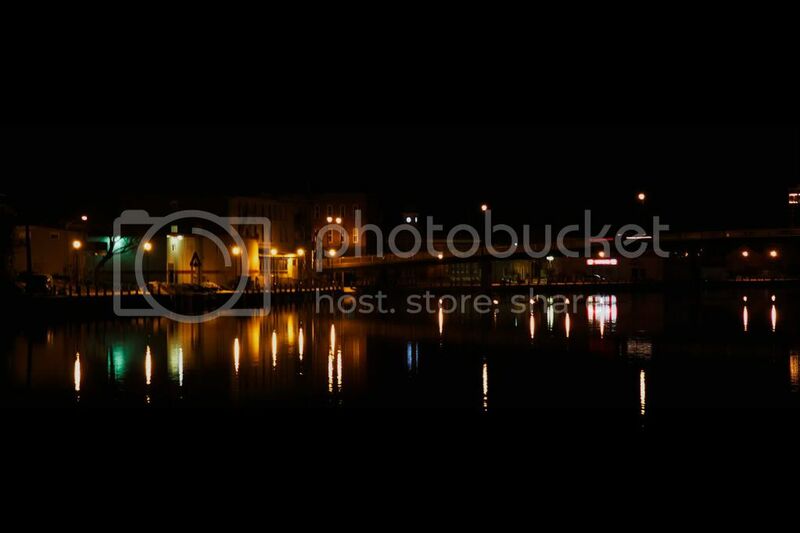 Colourful lights dotted the opposite shore. A nearby chair at the restaurant where we had a very pleasant dinner. “There is not enough darkness in all the world to put out the light of even one small candle” ~ Robert Alden. And here's part of what made it such an enjoyable meal. 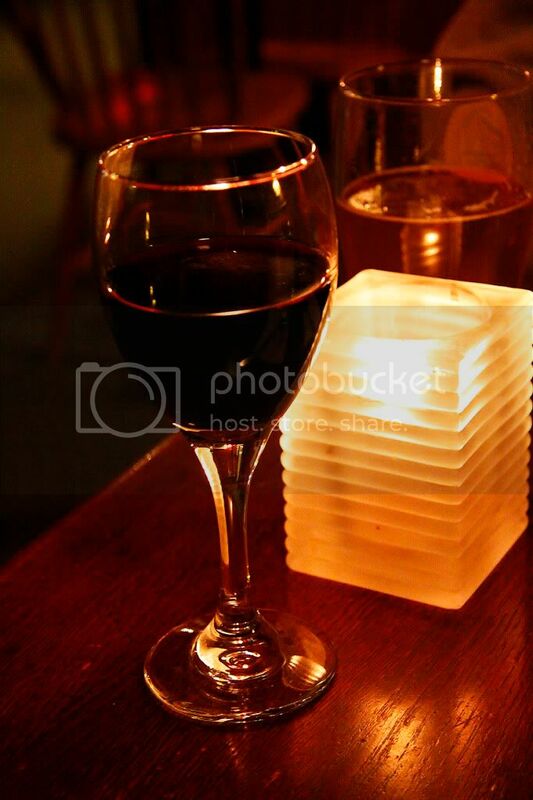 My Shiraz, Frank's beer and the candlelight - each providing their own warm glow. 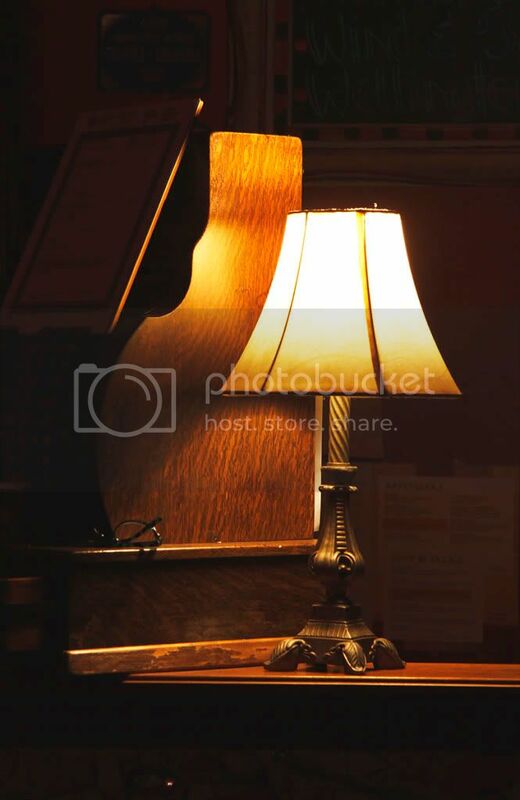 I hadn't noticed the pair of glasses folded up beside the lamp until I uploaded the photos. I was simply trying to capture the light and shadow. We walked past a beautiful old home which was being renovated. 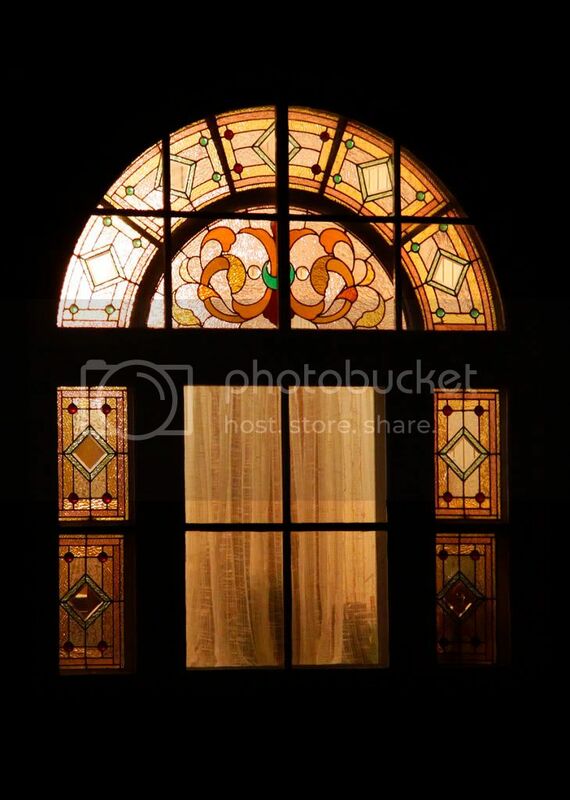 This stained glass window caught my eye, begging to be photographed. A peek to the right presented the rich colours of the early sunlight. 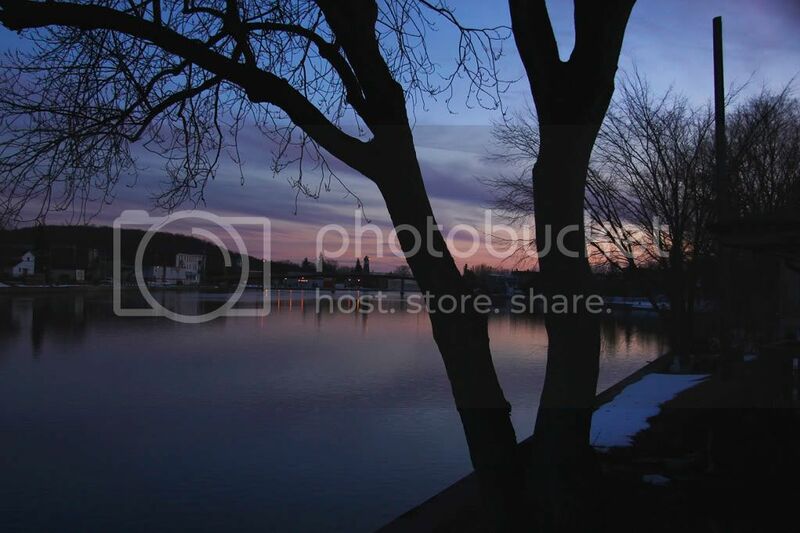 And across the river, a beautiful start to another perfect day. Over the last few weeks, Frank and I have taken a few different day trips through part of southern Ontario. 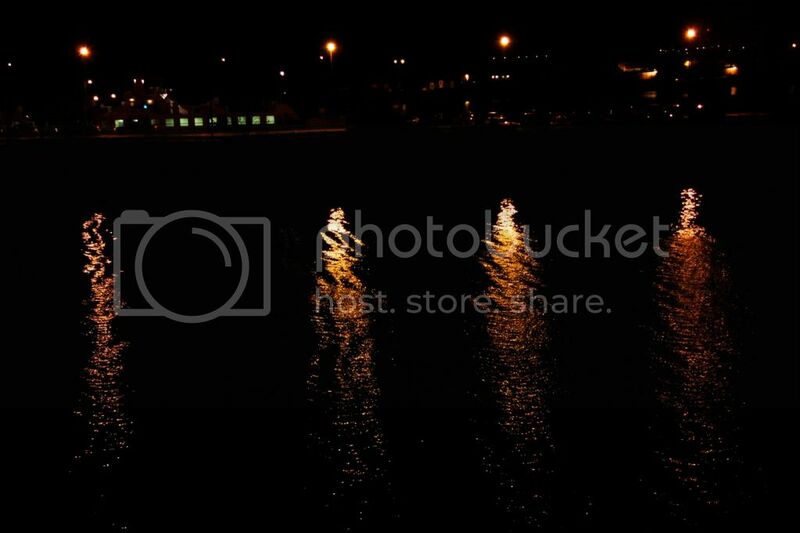 Below are a few photos taken from one of them, a couple of weeks back. I hope you enjoy them and please remember to click on each of them to enlarge. One of my favourite things to do while Frank is behind the wheel is to try my hand at drive-by shootings. 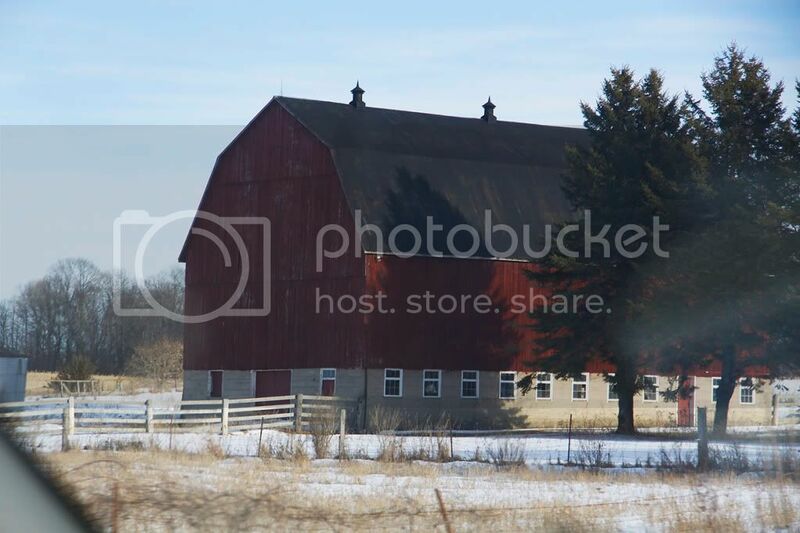 I liked this red barn in sunlight and shadows. The snow is long-gone now that we've had a few days of 18C (64F). 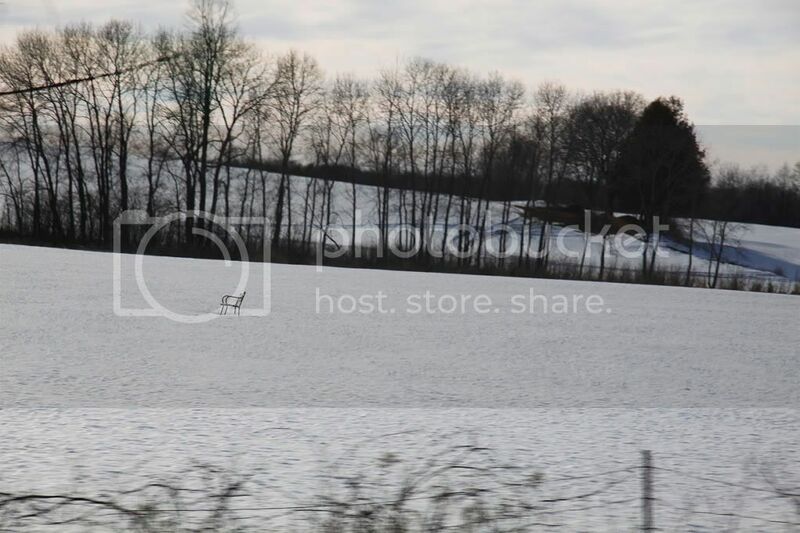 Another drive-by revealed this lone bench in the middle of a snowy field. This tree caught my eye from a long way off. 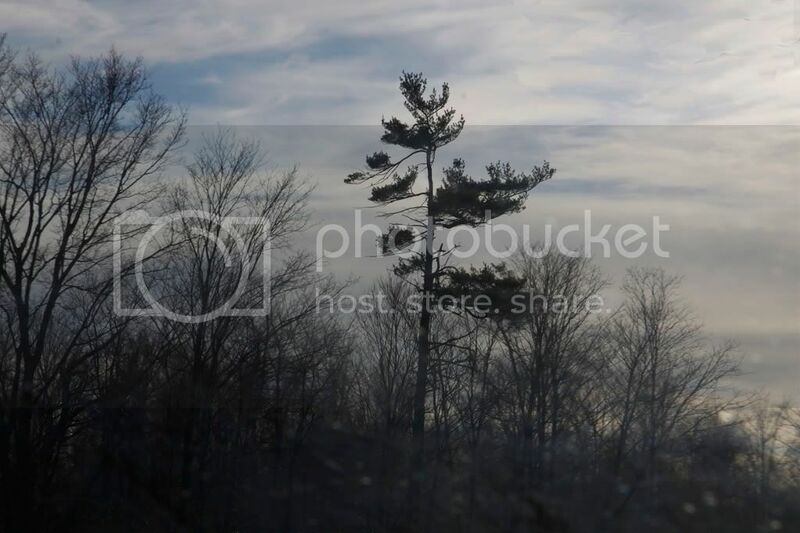 I liked how its branches reached out for sunlight. In Alderville, Ontario, there's a native art outlet called Smoke's. Somewhere down the road, I'll probably be featuring a few of what I believe are their best pieces of art. 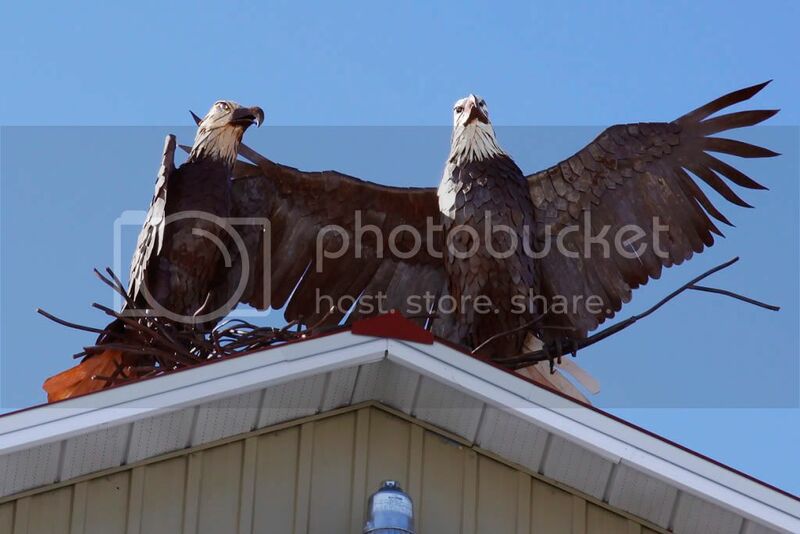 Today, I'm just including some colourful items seen around their gallery - like these bald eagles which welcome visitors from their nest up on the roof. 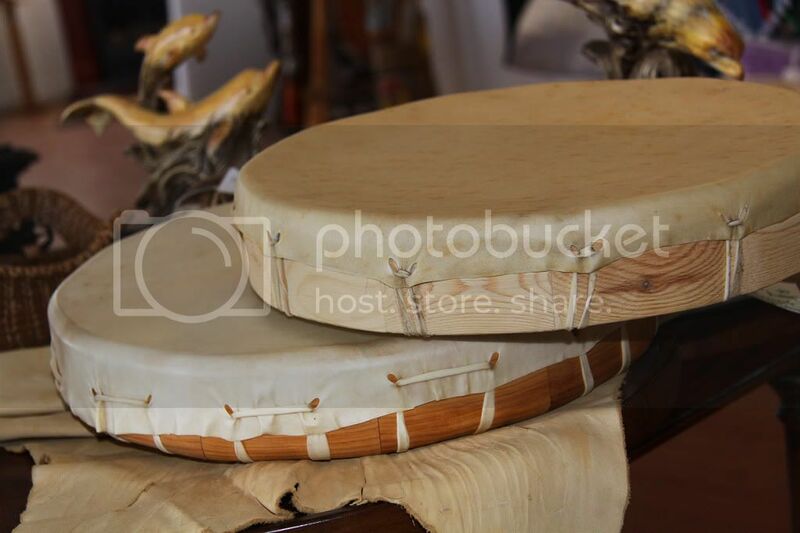 Native drums. Can you hear them? 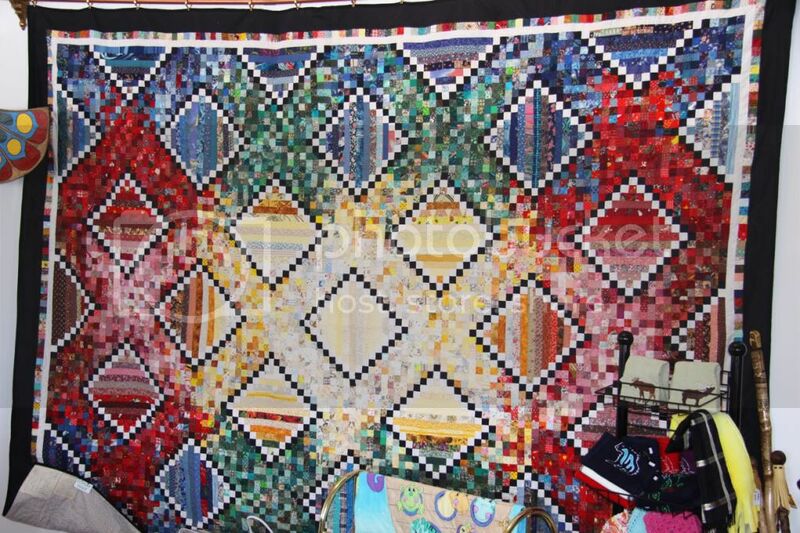 A colourful quilt hangs from one of the display walls. I love how one colour blends into the next. 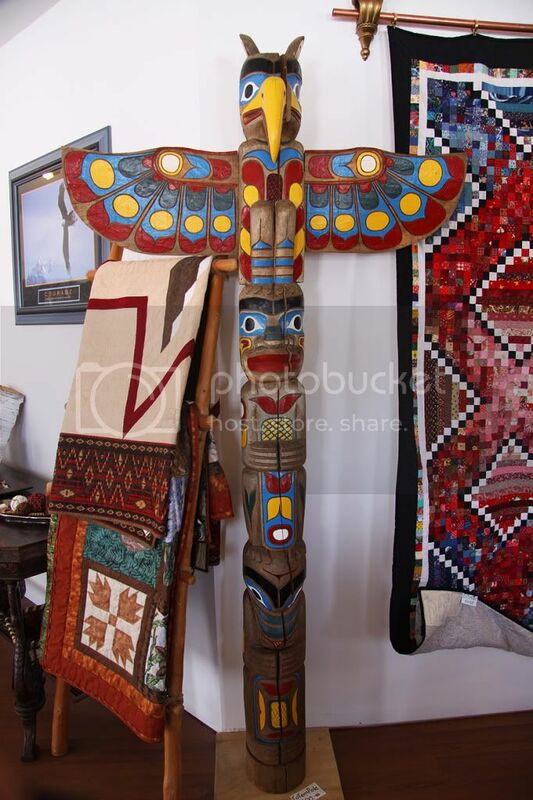 A brightly painted totem pole stands proudly in one corner of the gallery. 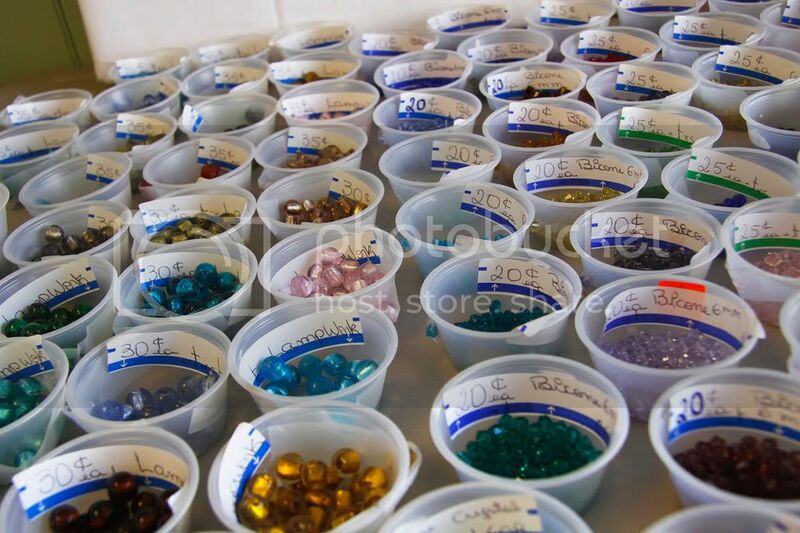 A different place, this store sold hundreds of different beads. Their display made me think of my talented friend, Dawno who designs beautiful, beaded jewelery. Back at Frank's place, a late afternoon walk reveals some of the damage done by the icy floods over the past couple of months. The underside of this apple tree is quite scarred. 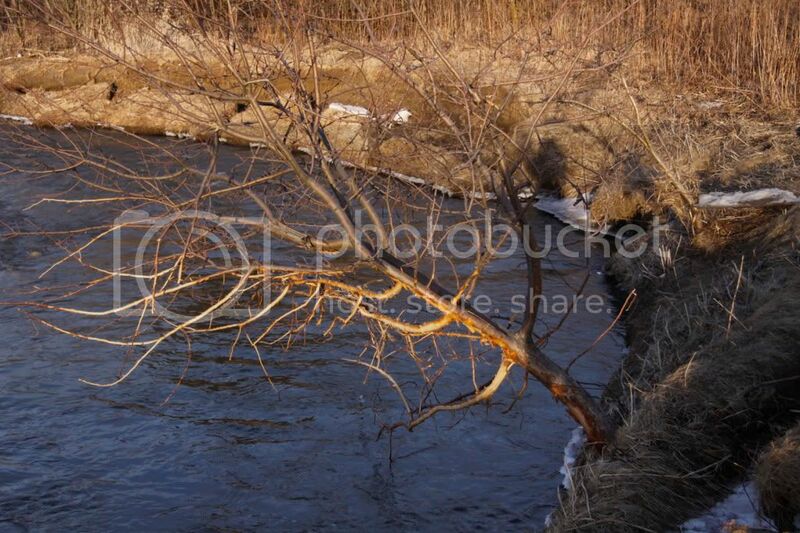 And it doesn't look like it will be too long before erosion sends it into the creek. 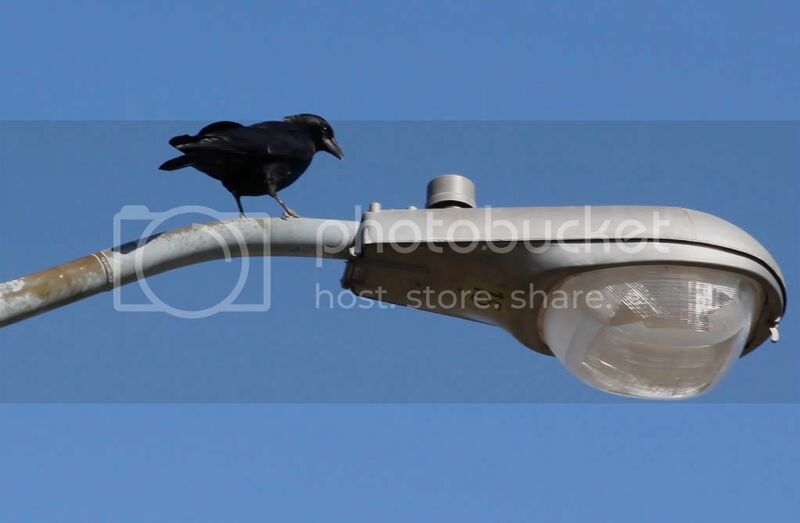 This handsome crow is keeper of the light standard. 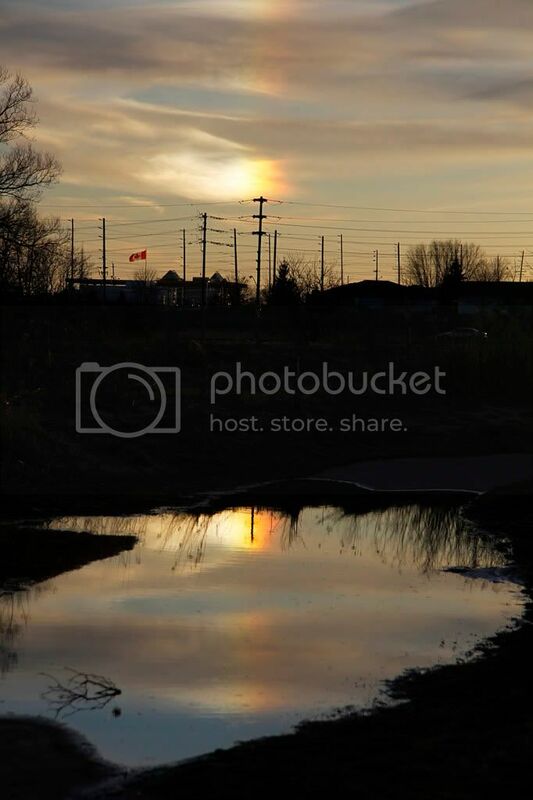 For the second time in two days, I spotted a Sundog (not to be confused with my bloggy pal Suldog, although every bit as bright and colourful). This one reflected nicely in the large, muddy puddle on the path. It was a rubber boots kind of day. 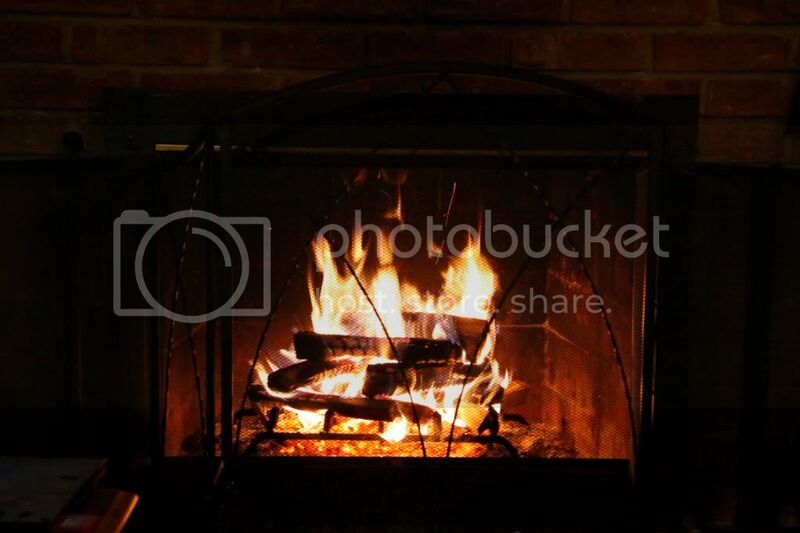 At the end of an early spring day, there isn't much better than lighting a fire and sipping on a belly-warmer. Thanks for joining me on this day. Felines, Feathers and Fins, Oh My! 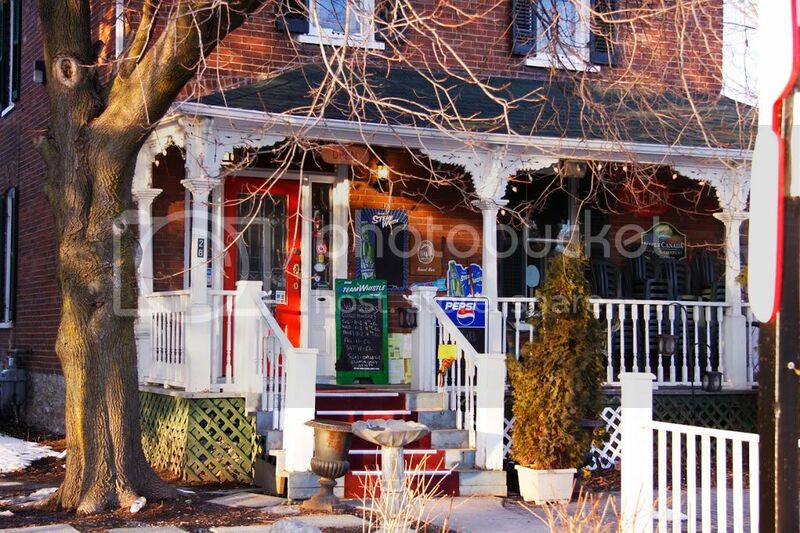 A couple of weeks ago, we continued our visit around small town Ontario by traveling up to a few places we'd been meaning to see - much of which included local art and artists. 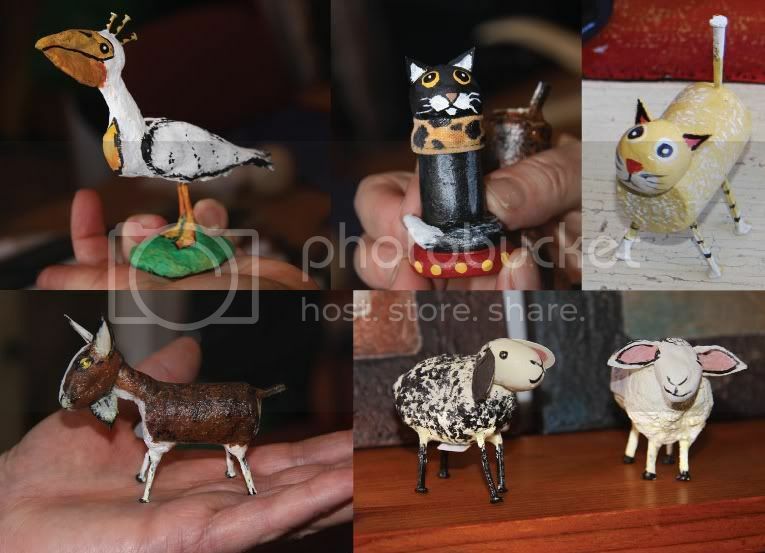 One of these fine folk artists was Janet Donald Wright from Warkworth, Ontario. She's an animal lover and it shows in almost every one of her pieces which so playfully depict nature. Frank and I had the pleasure of meeting her where she sells some of her pieces - a shop called Nature on Maine. We had been there a few months prior, and Frank purchased one of her whimsical pieces then. He was in the market for more and that's just what we found. 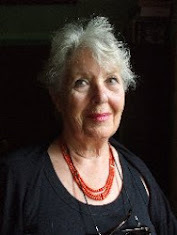 Janet took time out from her busy day at the studio to meet with us (she and Frank had been in contact via email) and show us some of her incredibly clever art. What makes Janet's work unique is that she uses only recycled items to create her fanciful masterpieces. You can find a few of her offbeat items below. Please remember to click on each of them to enlarge. Cutie felines adorn slices of a bed post, hung on what appear to be fish hooks. I own a beautiful blue heron which Janet painted on a similar piece. Remind me to show it to you sometime. 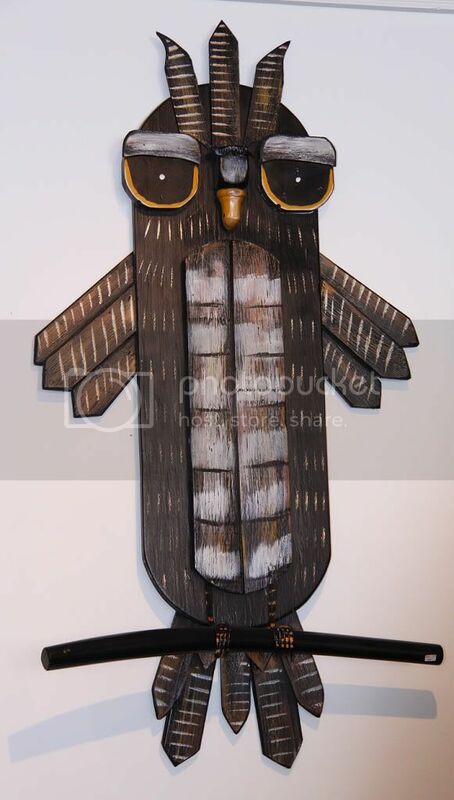 An adorable owl sits on a piece from a bentwood chair and was made from barn board, window shutters and pieces of a bed. Its whacky legs and talons were made with dinner forks. 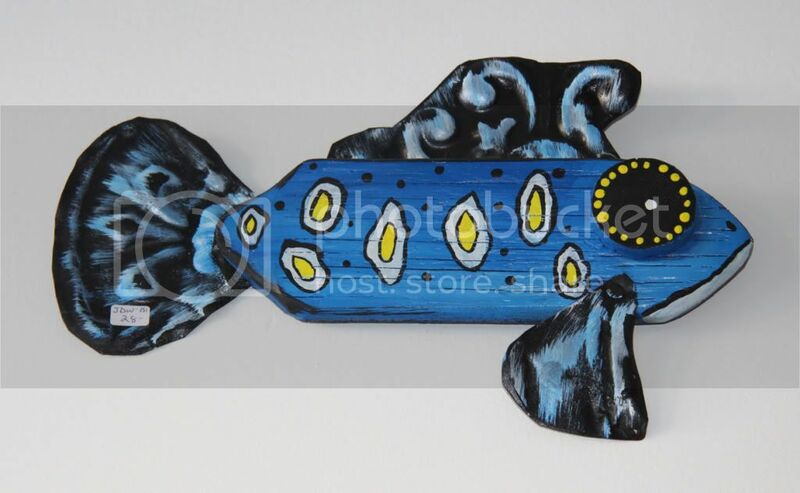 This wide-eyed creature was designed using a piece of picket fence, some Victorian ceiling tin and a slice from a bed post for that oversized eye These pre-existing items and brightly coloured paint transfomed it into a blue-finned wonder. 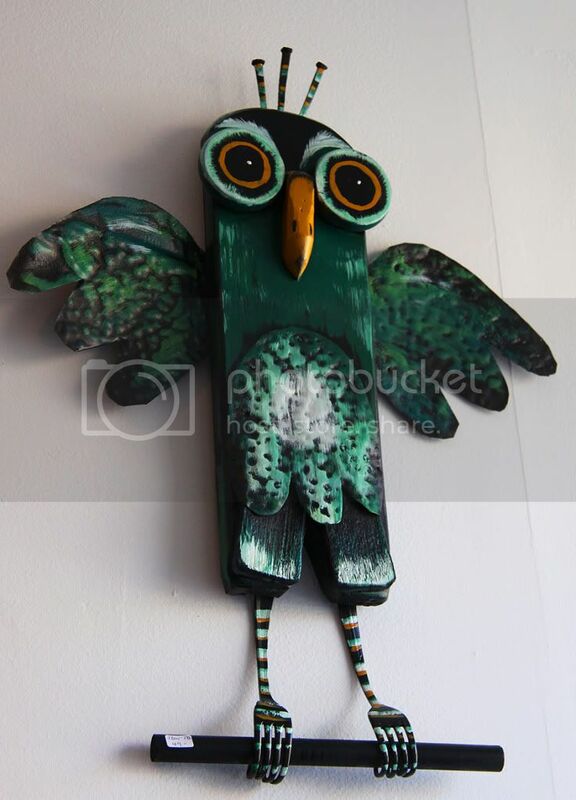 The body of this emerald green bird was made from an old wooden folk art toilet paper holder. Square nails give it its head feathers and forks make up its feet. 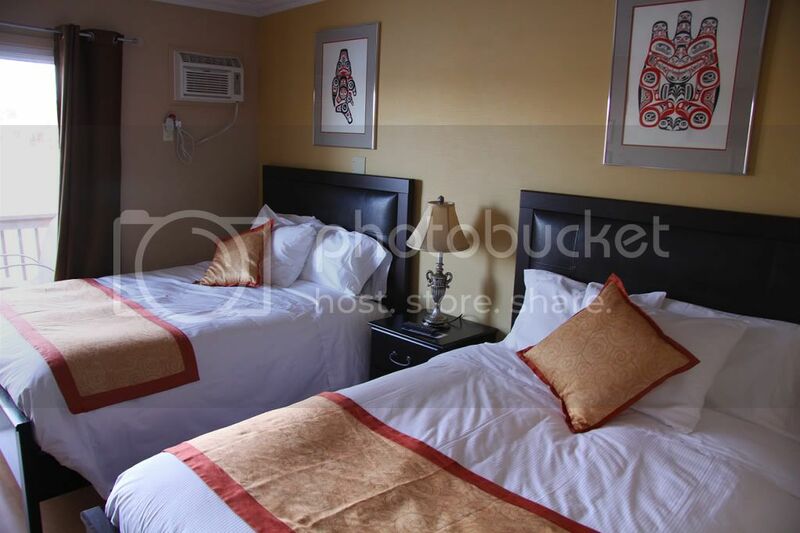 Everything in between came from bed posts and ceiling tins. Spotted fish live their lives in a bubble. The painted parts are on denim attached to recycled canvas. The fish are the result of an unfortunate motorcycle accident. Janet's favourite leather coat sacrificed itself for her while taking an unexpected slide down the highway. The fish were made from this leather. The texture is cat kibble. These mischievous creatures were made out of corks from wine bottles which Janet made a point of stressing were USED! Other parts include nails, milkweed pods and parts, clay, feathers and other miscellaneous items available to her. Clever Janet made this long fish's body from a part of an old wooden water ski. 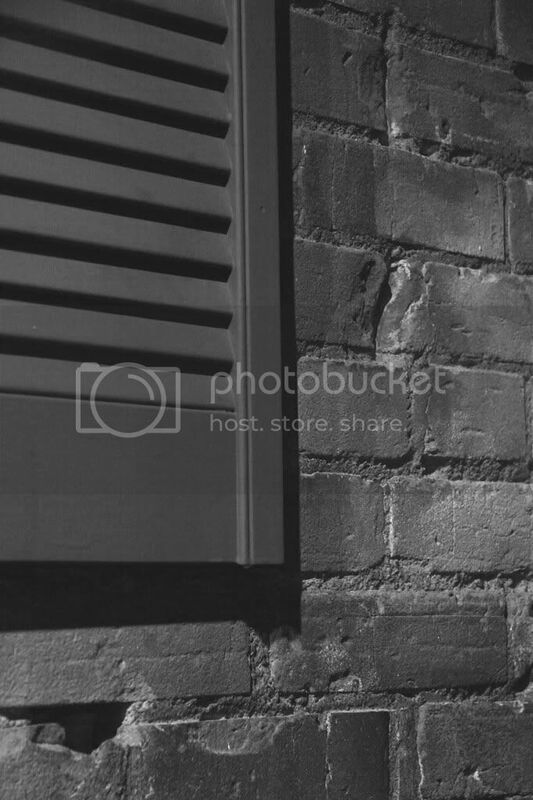 Other parts include a bed post piece, ceiling tin and a piece of wooden shutter. I love the expression on its face. 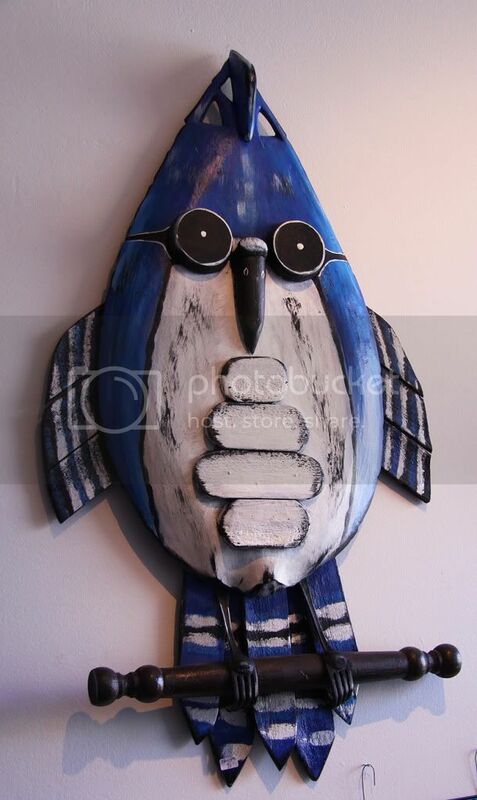 This goofy blue jay was a wooden platter, several shutter pieces, sliced bed posts, forks and chair parts. Frank bought the following two pieces. 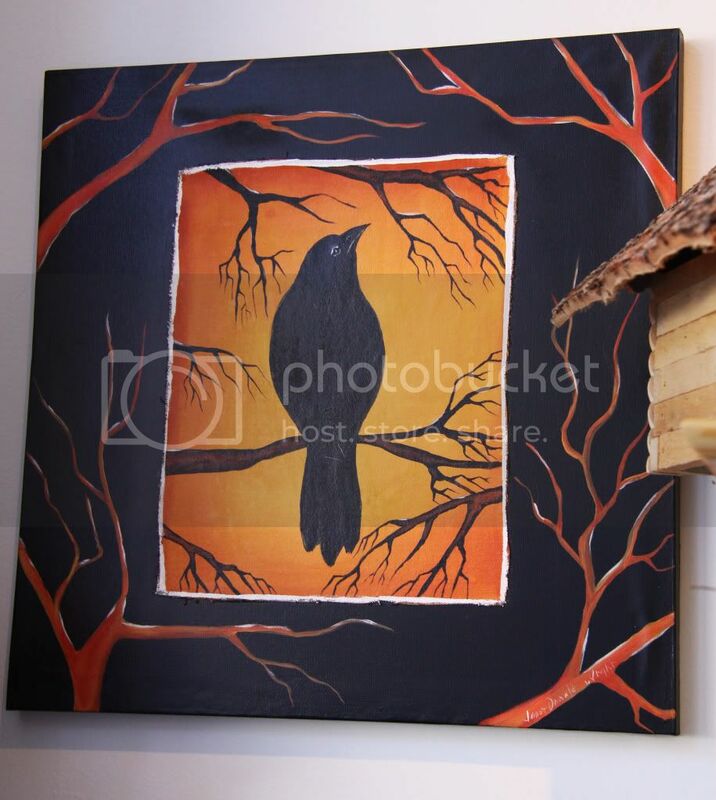 The crow is painted on denim placed on recycled canvas. 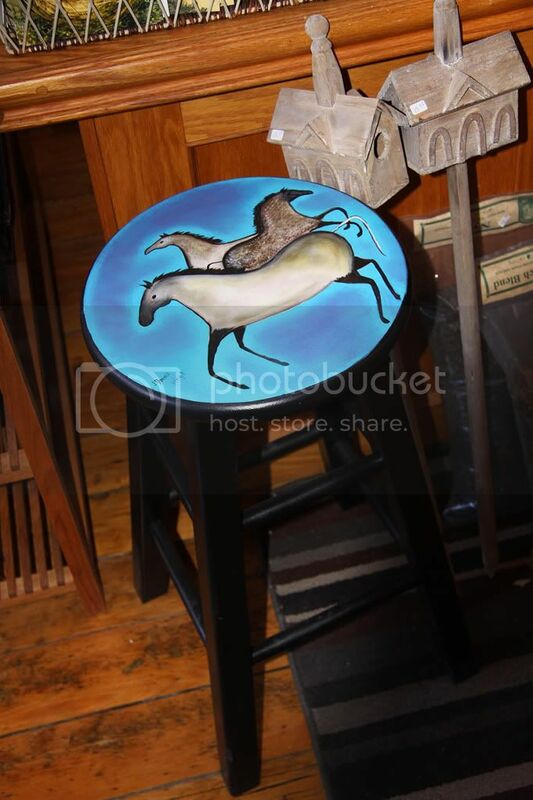 The stool was a garage sale find which took well to Janet's lovely horse design. 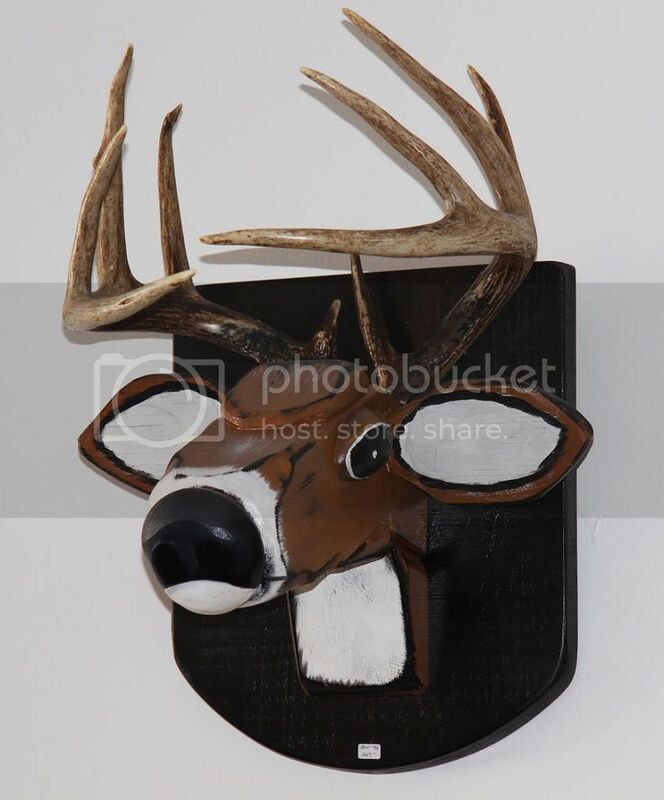 This impressive deer was made from actual antlers, pieces of a pine bed, picket fence and a wooden turning cut in half for the eyes. It's mounted on a table top. 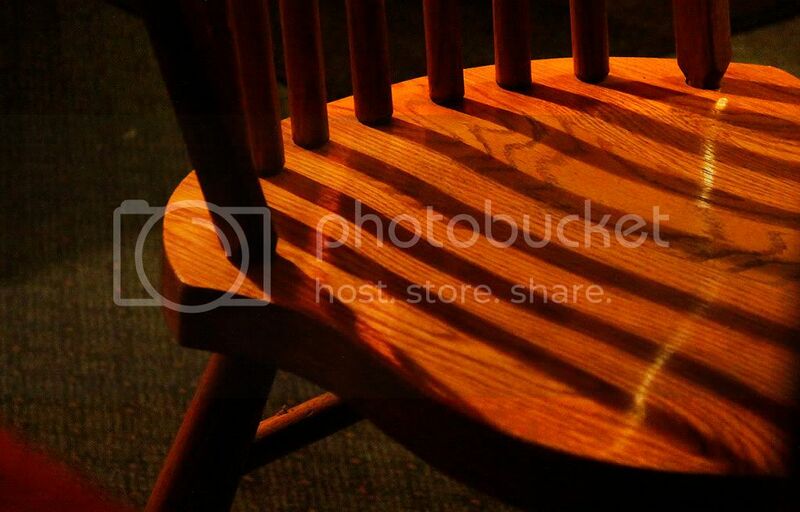 Mother Nature was made from a picket fence piece, spoons and chair brackets. Her face was made from a carved mug which Janet cut up. 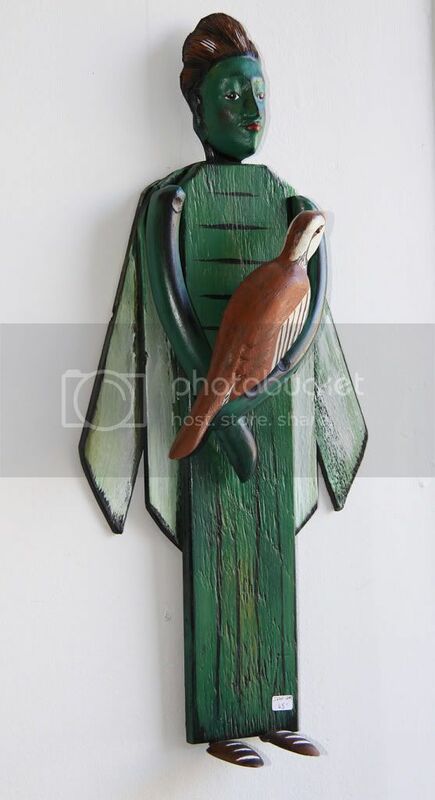 The bird was a piece from a broken carving. Janet has very few items available for sale on her eBay site, but I'm sure you could contact her through that venue if you would like to purchase something similar to the above items. I'm not receiving any revenue by blogging about Janet's art. I just really love her work and wanted to share it with you. 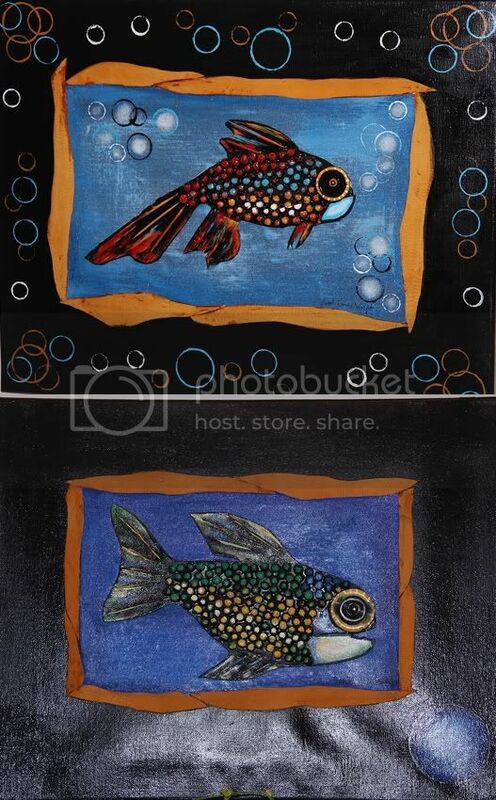 Thanks for the many smiles that your artwork evokes, Janet! Updated March 28 to add a link to Janet's brand new blog, Instant Karma. I'll be away from my computer on this St. Patrick's Day and tomorrow, so I won't be able to reply to comments until later in the week but I sure will be looking forward to reading them. Neither will I be visiting blogs so I'll have to catch up with you folks at a later time. at Write Place! Write Chick! 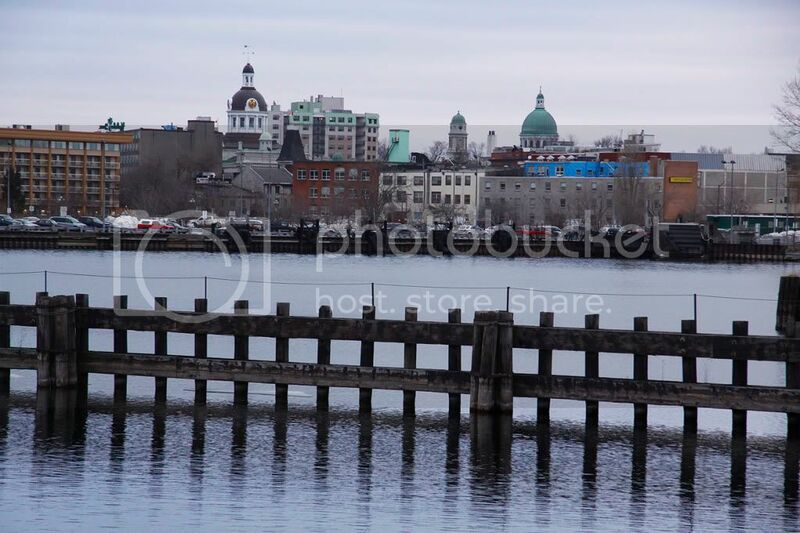 Early this month, Frank and I spent a couple of days in Kingston, Ontario. It's situated just about halfway between Toronto and Montreal, and just happens to be where my son attends university at Royal Military College (RMC). As luck would have it, our intended trip to see blues singer Matt Andersen perform at Kingston's Grand Theatre coincided with Jeffrey's return from his week long trip to Cuba. 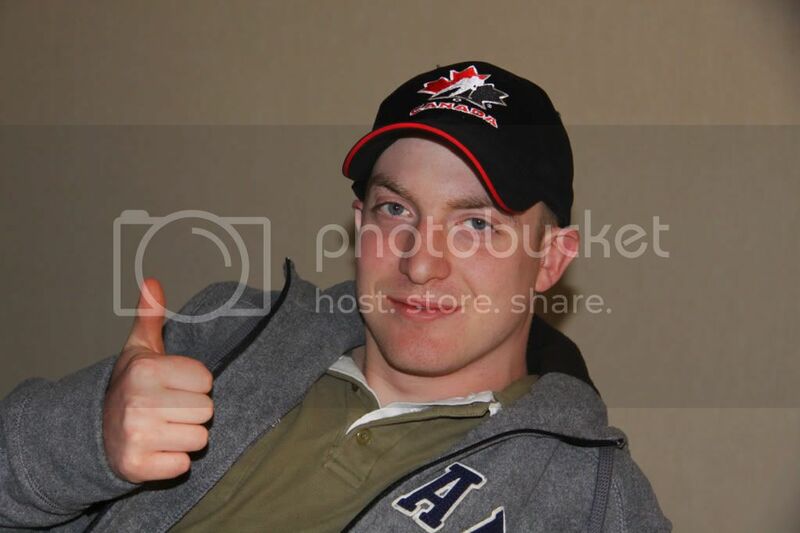 We were able to spend Saturday afternoon with him at our hotel room watching Canada's Olympic gold medal hockey victory. Jeffrey gives the thumbs up to our record-breaking Canadian athletes. After a victory dinner, we returned to watch the closing ceremonies, before Jeffrey headed back to campus a few minutes away. 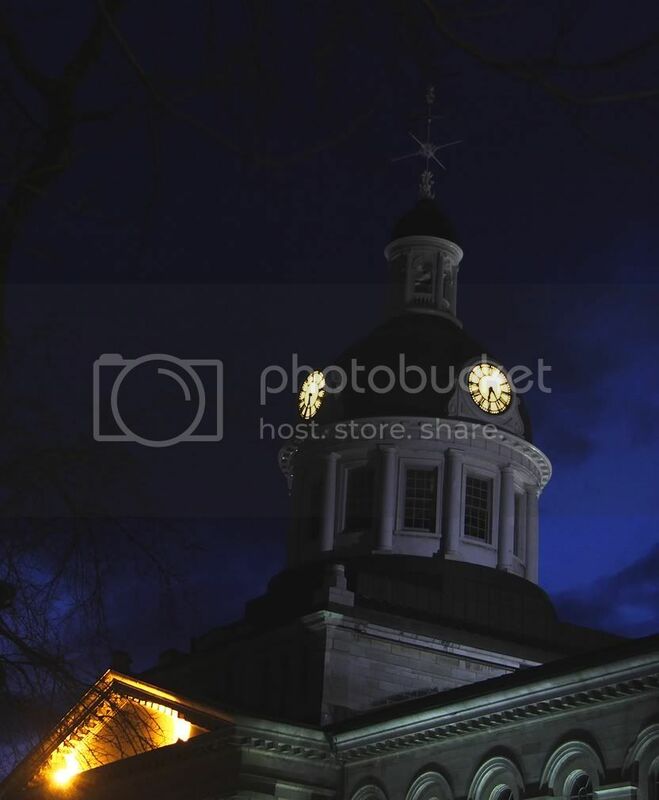 A night time view of Kingston's beautiful City Hall as seen on our way to dinner. 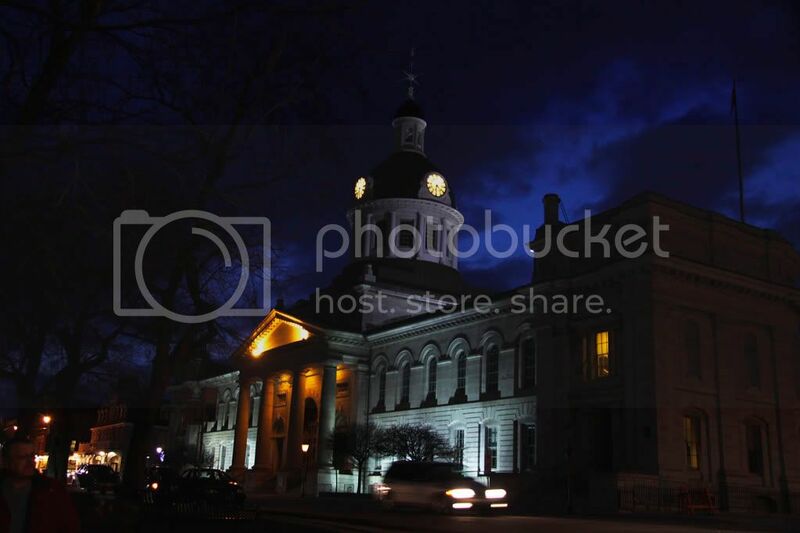 The lovely domed clock tower. The next morning Frank and I wandered around town for a bit. 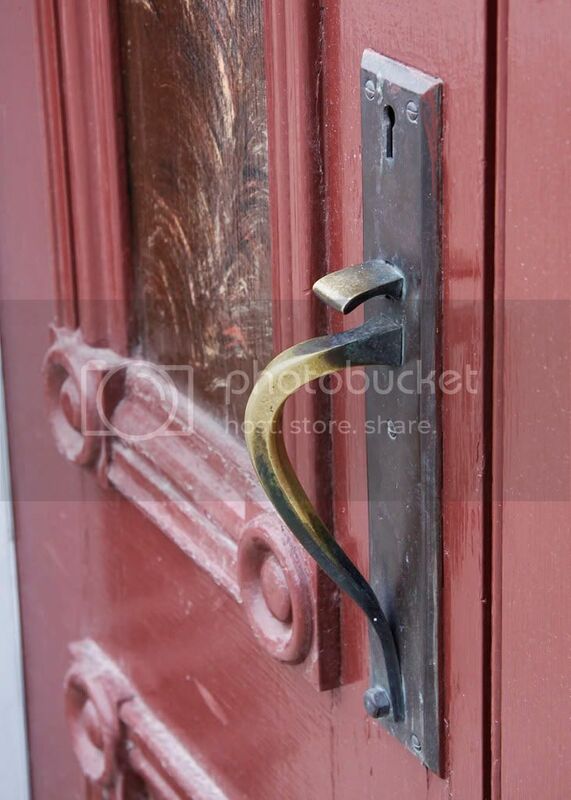 This door just happened to catch my eye. Eventually we stopped for refreshment. 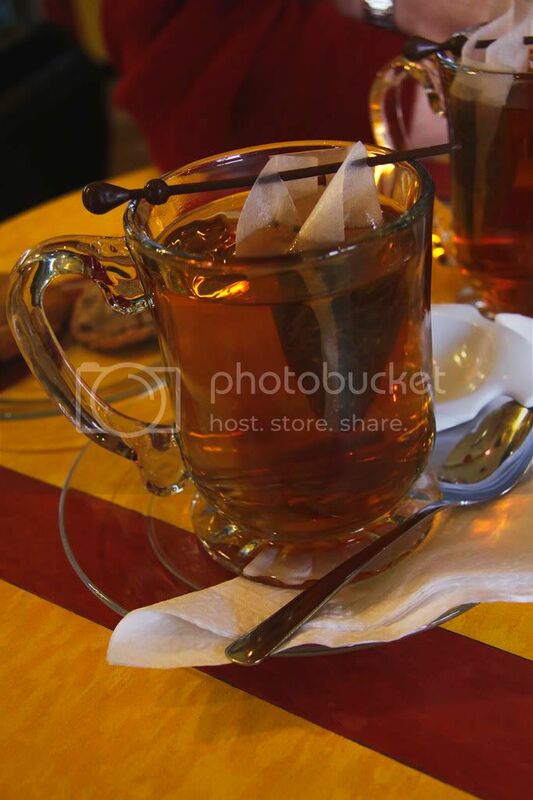 Cup of chai, anyone? That afternoon, while Frank settled in for a nap, I took my camera out for a walk. I headed over the bridge toward RMC and snapped a shot of Memorial Arch. 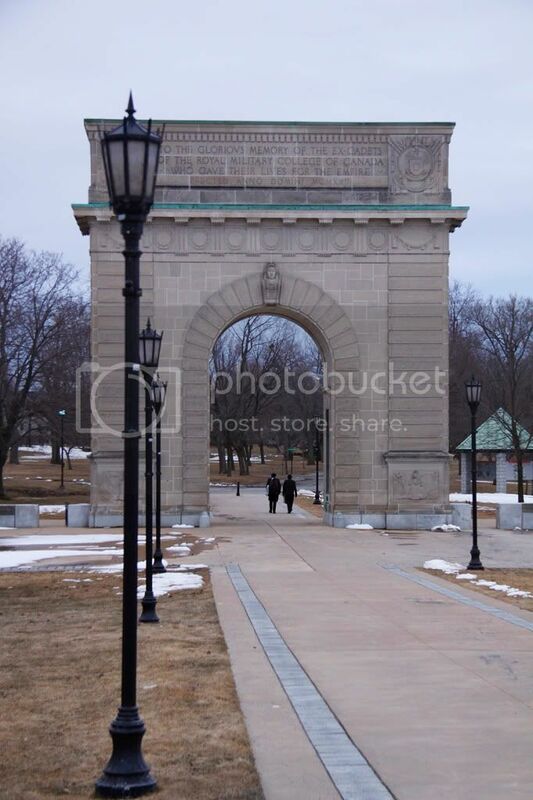 Students are requested to walk around the arch, and not pass beneath it more than twice in the entire time spent at RMC. The first time they march under it is when they arrive as new cadets. Four years later, they will once again march under the arch when they graduate as Officers of the Canadian Armed Forces. That day is coming up for my son this May. On my way back to the hotel. I had a clear view of the city's skyline. 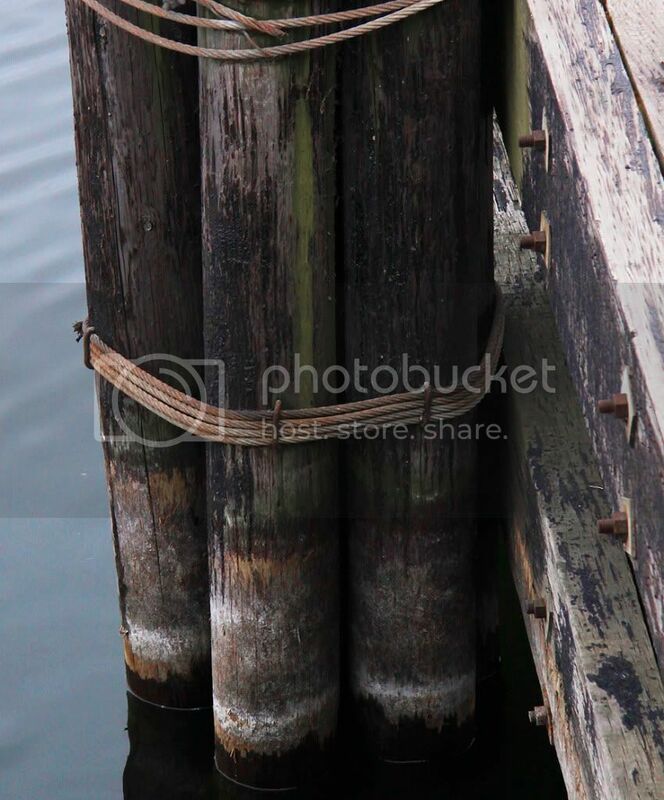 Colourful textures at the side of the dock. In the evening, before the show, we had dinner out. 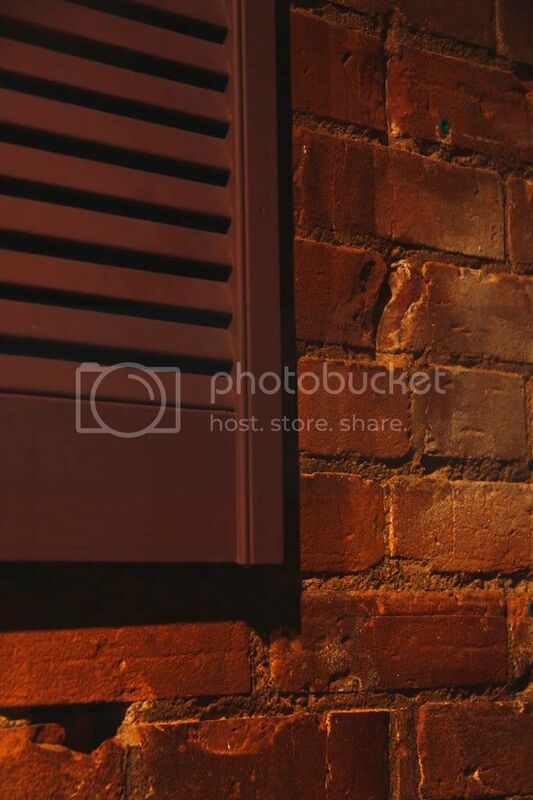 The brick wall and wooden shutters demanded that I snap a shot. Then they insisted it be in black and white. I have very demanding surroundings. Here's another showy wall, complete with mirror. 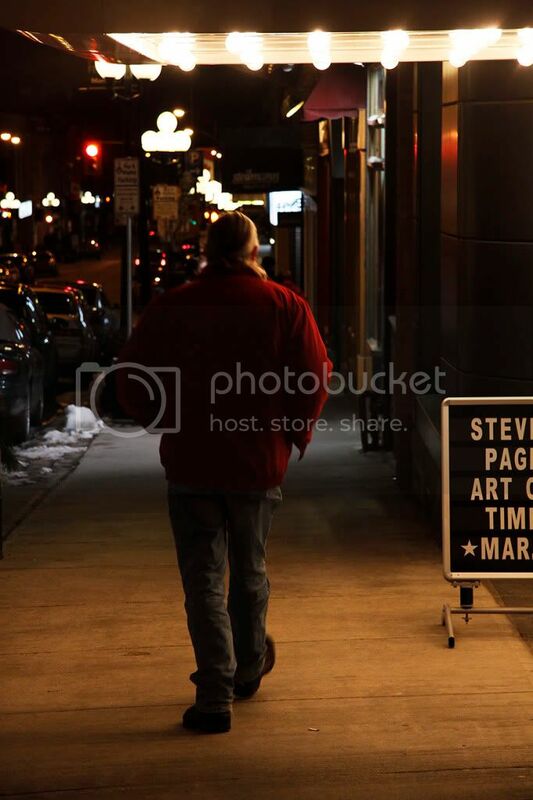 It was soon time to walk over to the Grand Theatre to see Matt Andersen perform. If you ever have the chance to listen to this young, blues artist, please do yourself a favour and go. He's a wonderful songwriter with an incredible voice, and he plays a fine guitar. You can have a listen to some of his own music here. He also performs a few classics. The time just flew by. And then we were on our way back to the hotel. 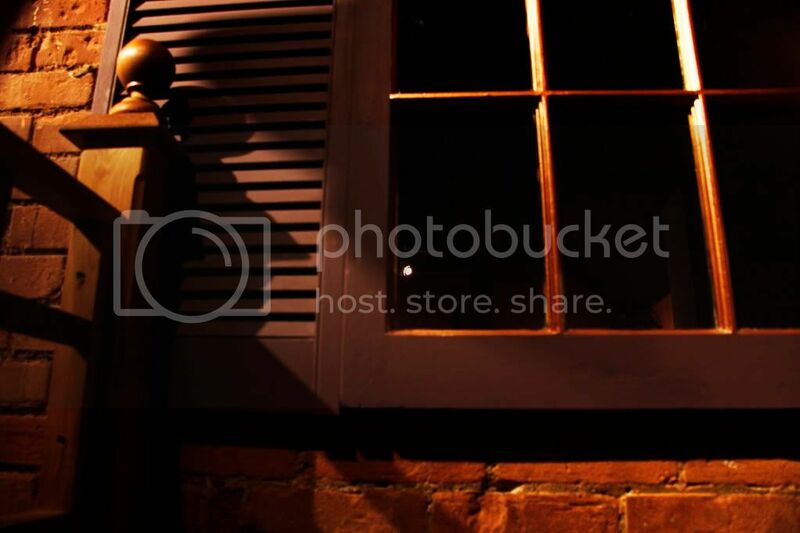 This lovely view greeted us outside our window at night. See you in a few days with some more photos. It Ends With A Bang!